As the bi-state region’s only united arts fund, the Arts and Education Council pools together donations from thousands of people, corporations and foundations who believe in the arts' ability to create and sustain vibrant communities. With this support, the Arts and Education Council provides grants and programs that keep art happening for 1.6 million adults and children and support more than 70 arts organizations. There are several ways you can keep art happening with the Arts and Education Council. Donate to the Arts and Education Council and watch your gift grow into millions of art experiences for adults and children across the region. Plus, get an ARTS Card so you can enjoy many of those experiences at a discount. Be an advocate for the arts in St. Louis by starting a personal campaign that builds support for the Arts and Education Council among friends, family and coworkers. 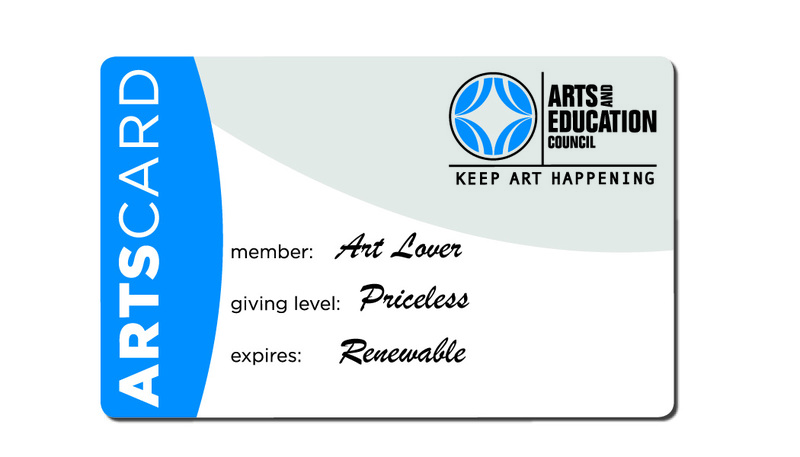 Honor someone special in your life with a dedicated gift in their name to the Arts and Education Council. Include the Arts and Education Council in your planned giving as a way to ensure a rich and vibrant community for future generations. With a gift of $50 or more, you get an ARTS Card, giving you access to big savings on arts and culture events year-round.